James J. “The Boilermaker” Jeffries was 19-0-2 (16), living in Burbank, CA, when he retired in 1904. He was forced out of retirement after six years to “stand up for the white race” due to the fact Jack “Galveston Giant” Johnson was champion. Born in Galveston, Texas, then living in Raleigh, North Carolina, Johnson was the Colored champion having defeated Canadian Tommy “The Little Giant of Hanover” Burns for the world title in 1908 in Australia becoming the first world heavyweight champion of “color”. In those days until Johnson-Burns colored boxers weren’t allowed to fight for a world title. This included Sam “Boston Tar Baby” Langford, Sam McVea, Joe Jeannette, “Battling” Jim Johnson, Black Bill, Peter Felix, John Lester Johnson, “Big” Bill Tate, Ed “Bearcat” Wright, Brad Simmons and Klondike “Black Hercules” Haynes. Even Jeffries own pastor from the pulpit would say “we have a coward among us” referring to Jeffries who was in the congregation. Jeffries not only hadn’t fought in six years but had put on 100 lbs. So you can see how the odds were against him taking on Johnson. Johnson would be considered the first of the “five heavyweight champion legends”. Johnson had been fighting for eleven years and was 48-5-9, when he finally got a world title fight against Canada’s Tommy Burns, 42-3-8, in Australia in December of 1998. Previously Johnson had defeated the former middle, light heavy and heavyweight champion Bob “Ruby” Fitzsimmons but lost to future heavyweight champion Marvin “The Fightin’ Kentuckian” Hart. Johnson had six successful defenses before losing to Jess “Pottawatomie Giant” Willard, 22-5-2, in Havana, Cuba. Some felt Johnson “threw the fight”. It had been almost ten years since he lost to Joe Jeannette by DQ. He also had five draws over that period of time. Two of those defenses were against then middleweight champion Stanley “The Michigan Assassin” Ketchel, 49-4-3, who had floored Johnson. Johnson got up and knocked out Ketchel. Ketchel was outweighed by 35 lbs. The other was against former light heavyweight champion “Philadelphia” Jack O’Brien, 144-10-25, who was outweighed by over 40 lbs. His record at the end was 56-11-8 w/35 knockouts. Johnson’s arrogance seemed to make him one of the most hated champions in boxing. He retired in 1931 and it took 87 years before a President of the United States would pardon his actions and that is the current President Donald Trump. Another heavyweight boxing legend was Jack “The Manassa Mauler” Dempsey who was without a doubt one of the most ferocious fighters of his time. Dempsey, 58-6-9 (44), was born in Manassa, Colorado before relocating to Salt Lake City, Utah and “rode the rails” of the trains throughout the country. He turned professional as far as is known in August of 1914. He was 5-0-2 when he fought a pair of back to back draws in May and June with Johnny Sudenberg in 1915. In April of that year he suffered what would be the only stoppage loss of his 69 fight career losing to “Fireman” Jim Flynn, 63-35-22, in 1917 only to knock out Flynn the following year in 1:10 of the first round. In December of that year Dempsey fought to a draw with Downey. In February of the following year he not only knocked out Sudenberg but twenty days later knocked out Downey. He was 1-2-2 against Willie Meehan who ended up 84-29-39. In 1919 the 6’1″ Dempsey stopped World champion 6’06 1/2″ Jess Willard, 24-5-2, in 3 rounds giving him a brutal beating to become world champion. Willard later claimed Dempsey’s gloves “were loaded” but it was never proven. In his first defense Dempsey knocked out Billy Miske, 53-11-15, whom he had drew and defeated. Then he knocked out “KO” Bill Brennan, 60-13-8, light heavy champion Georges “The Orchid Man” Carpentier, 84-10-5, one of France’s greatest boxers and defeated Tommy Gibbons, 85-3-4, over 15 rounds. Next would be one of Dempsey’s toughest fights against Louis Angel “The Wild Bull of the Pampas” Firpo, 25-2, of Argentina who Dempsey had down five times in the first round while Dempsey was down and up without a count only to be driven into the ropes and with a little shove through the ropes. He was helped back in off the writers table just before the bell rang. In the second round Dempsey scored another pair of knockdown and then knocked out Firpo. Dempsey didn’t fight again for three years. He would come back and lose to Gene “The Fighting Marine” Tunney, 76-1-4, over 10 rounds before 120, 557 in attendance at the Sesquicentennial Stadium in Philadelphia in 1926. In July of 1927 Dempsey knocked out future world champion Jack “Boston Gob” Sharkey, 27-6, in 7 rounds. In a rematch two months later with Tunney, Dempsey dropped Tunney in the seventh round but refused at first to go to a neutral corner which was a new rule. It was said Tunney was down for fourteen seconds before getting to his feet at the count of nine. This was called “the long count” and Tunney would go onto win a decision in 10 rounds. This would be Dempsey’s last fight. Tunney would have one more winning defense the following year and retire. The next legendary champion who this writer calls the greatest of all was Joe “The Brown Bomber, Louis, 66-3 (52), out of Detroit, MI. He still holds the record of twenty-five title defenses among the heavyweights. Louis was 31-1, at the time only losing to former world champion Germany’s Max “Black Uhlan of the Rhine” Schmeling, 48-7-4, in June of 1936, in the twelfth round. Louis in his fourth defense in June of 1938 would again meet Schmeling scoring a knockout in 2:04 of the first round. In February of 1940 Louis would win by split decision over Chile’s Arturo Godoy. The following month Louis would stop Johnny Paycheck, 44-4-2, in the second round. Three months later Louis would again be in with Godoy stopped him in the eight rounds. In May of 1942 Louis would win by DQ7 over 6:06 Buddy Baer, 56-5, brother of Max Baer. Four weeks later Louis would have one of his most difficult fights against former Light Heavyweight champion Billy “The Pittsburgh Kid” Conn, 59-9-1, being behind 7-5, 7-4, 6-6, after twelve rounds. Louis would knockout Conn at 2:58 in the next and thirteenth round. In January of 1942 Louis would knockout Baer, in 2:56 of the first round having him down three times. Since Louis and Conn both served in the military there wouldn’t be a rematch until some five years later in June of 1946 knocking out Conn in eight rounds. In December of 1947 making his twenty-fifth title defense Louis came off the canvas twice to win a split decision over future world champion “Jersey” Joe Walcott, 44-11-1, over 15 rounds. In his next fight a rematch Louis would knockout Walcott in eleven rounds and would announce his retirement afterwards. After twenty-seven months he returned to the ring only to lose to world champion Ezzard “The Cincinnati Cobra” Charles, 66-5-1, over 15 rounds. Louis would go onto win his next eight fights including the final one defeating Jimmy “Cleveland Spider-Man” Bivins, 78-20-1, who had claimed to be world champion while Louis was in the Army. Two months later well past his prime Louis would face future world champion Rocky “The Brockton Blockbuster” Marciano, 37-0, being knocked down twice with the second one putting him through the ropes. It was said Marciano later cried “because Louis was his hero”. That was Louis’ last fight. He held the title a record 11 years, 8 months and 7 days, along with a heavyweight record 25 title defenses. Marciano would become the third legend in the heavyweight division in his forty-third fight. After twelve rounds he was behind 7-4, 7-5, 8-4, to champion “Jersey” Joe Walcott, 51-16-1, only to knock Walcott out in 0:43 of the thirteenth round with a punch that has been seen thousands of times. Per a stable mate of Marciano’s Hank Cisco, he told this writer while going to Walcott’s dressing room he heard the ring physician say “this man should never fight again” due to a broken bone under an eye. Eight months later in May of 1953 in Marciano’s next fight in a rematch with Walcott he scored a knockout at 2:25 of the first round. 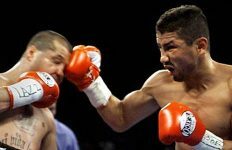 This was the first fight this writer ever watched on TV at the age of nine and was hooked from thereafter. Going back in time Marciano only weighing 180 lbs. in December of 1949 knocked out 6:04 Carmine “Bingo Vingo” Vingo, 16-1, in the sixth round. Vingo after given last rites by a priest, and a 50-50 chance of survival after going into a coma, after this bout recovered with a slight paralysis on his left side. After Marciano’s winning the title he had Vingo as his special guest for the rematch. Vingo would eventually fully recover. In June of 1954 in Marciano’s third defense he met former champion Ezzard Charles, 85-10-1, winning a decision by scores of 8-5, 9-5 and 8-6. 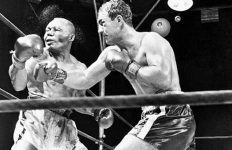 Just three months later they had a rematch when Marciano had his nose was severely cut in the eighth round and in danger of having the fight halted. He had Charles down in the second and for “two” in the eighth before the knockout at 2:36 of the round. Marciano was well ahead by scores of 5-1 and 6-1 after seven rounds. It would be eight months before Marciano would return to the ring in May of 1955 against the British Empire champion Don Cockell, 66-11-1, of the UK. He stopped Cockell in the ninth round. In Marciano’s final fight in September of 1955 he took on Light Heavyweight champion Archie “Old Mongoose” Moore, 149-19-8, who was on a twenty fight win streak. Both fighters came in at 188 lbs. Moore knocked Marciano down for a “two count” in the second round. Marciano would have Moore down twice in the sixth, once in the eighth and finally knocking him out in the ninth round. He would be the only heavyweight champion to retire undefeated at 49-0 with 43 knockouts. The fourth heavyweight legend started out as Cassius Clay. He was a six-time Kentucky Golden Gloves champion. He was about 99-8 or you pick one of about five different records in the amateurs. In 1957 he split with a future heavyweight champion also from Louisville named Jimmy Ellis in their two meetings. In 1959 Clay was an AAU champion. In the Pan Am trials in his third bout he lost to southpaw Amos Johnson. In 1960 in the Olympics he fought as a light heavyweight in Rome, Italy. He defeated opponents from Belgium, USSR, Australia and Poland to win a Gold Medal. In October of 1960 Clay turned professional being backed by a group of Louisville business men. He was sent to the salt mines in San Diego to work with light heavyweight champion Archie Moore that didn’t work out too well. So the group sent him to Miami Beach to work with Angelo Dundee and they clicked. After clay won his first 10 fights he faced Sonny Banks, 10-2, and had to come off the canvas to stop Banks in the 4th round. He was 15-0 when he met Archie “The Mongoose” Moore, 185-22-10, with 131 knockouts. Like in some of his other fights at the time he made a prediction of what round he would stop his opponent. He called it “Moore in Four”! He knocked Moore down three times in the fourth in stopping him. Two fights later in Madison Square Garden Clay met what would be one of his toughest earlier fights against Doug Jones, 21-3-1, who had challenged Harold Johnson for the light heavyweight title and now was campaigning as a heavyweight. Two judges had it 5-4 and the other 8-1. In June of 1963 Clay would travel to London, UK, taking on the British and Commonwealth champion Henry Cooper, 27-8-1, before close to 46,000 in attendance. He had to come off the canvas for the second time in his young career in the fourth round. Between rounds it was discovered by his trainer Dundee that he had a rip in one of his gloves. How it got there only Dundee knew. He got Clay enough time to get his head cleared. He went out and stopped an already bleeding Cooper in the following round. The win over Cooper earned Clay a world title fight with champion Sonny Liston, 35-1, in Miami Beach. At the end of five rounds the scores were even. Liston had a problem catching up to Ali. One of Liston’s eyes had a mouse under it and his left shoulder was hurting that he could knock an opponent out with a jab. In between rounds he had something in his eyes, possibly an ointment from Liston’s gloves and could hardly see. He wanted to quit when Dundee slapped him and told him to get out there and run. By the end of the round Liston couldn’t come out of his corner due to a shoulder injury making Clay world champion despite the odds against him winning. It was February of 1962 when he won the title and afterwards proclaimed his new name having accepted Islam was Cassius X and later changing it to Muhammad Ali. Three months later to the day he gave Liston a rematch and knocked him out with the legendary “Phantom” or “Anchor” punch that only Angelo Dundee claimed he was it land putting Liston on the floor rolling around in the first round while former world heavyweight champion was the referee and that’s when all the confusion started. By the time Walcott called it off it was 2:12 of the first round. 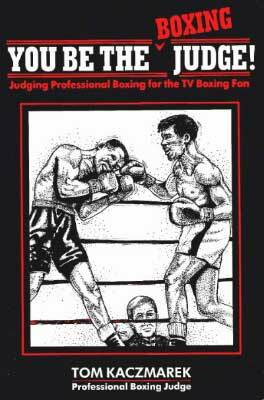 One of the judges was Coley Wallace who had defeated Marciano in the amateurs and played the role of Joe Louis in a movie. The bout was held in Bangor, Maine. I was told by a valet of Liston’s named Ted prior to the fight with Liston riding shotgun and Liston in the back they stopped at a red light. There was a group of young kids on the corner pointing to the back at Liston. When Ted turned around he saw Liston sweating like a pig for no obvious reason. He said he knew there was something going on. The word “Fix, Fix” was being yelled by the small attendance, of 2,434 in this small town. Besides naming rounds he also gave some of his opponents “nick names”. He called Liston “the big ugly bear”. Ali’s next eight fights were a mixture of foreign boxers and former champs to name a few starting with former world champion Floyd Patterson, 43-4, whom he called “the rabbit!” Patterson would be stopped in the 12th round well behind in the scoring. Next up was Canadian George Chuvalo, 34-11-2, a durable rough opponent who fought them all and took a good punch. He would go the full 15 rounds and loose by quite a bit in the scoring. Several months later Ali would return to London and again stop Cooper in six rounds this time. Less than three months later back in London he stopped Brian London, 35-13, knocking him out in three rounds. Four months later in September of 1966 Ali traveled to Frankfort, Germany taking on southpaw European champion Karl Mildenberger, 49-2-3, stopping him in 12 rounds. In Ali’s fifth title defense in 1966 he fought heavy hitting Cleveland “Big Cat” Williams, 67-5-1, at the Houston Astrodome. It was one of Ali’s best performances stopping Williams in the third round. Ali would return to Houston taking on former champion Ernie Terrell, 39-4, in February of 1967. Rumors were Ali had made the statement he would refuse to go into the service if drafted and was trying to get as many fight in as possible before being drafted. 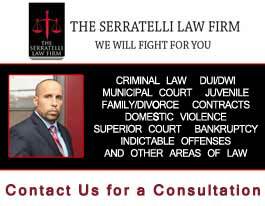 He easily defeated Terrell over 15 rounds. Terrell claimed Ali forced his eyes on the ropes and he could hardly see. He wore a patch over the eye afterwards. In what would be his last fight before induction the following month Ali took on Zora Folley, 74-7-4, at Madison Square Garden. He would knock out Folley in seven rounds. Ali would refuse being inducted when drafted and spent the next three years in court attempting to stay out of prison but had his boxing license suspended. In February of 1970 he announced his retirement. Months later he was cleared and made an attempt to comeback in October. He sparred with heavy puncher Jeff Meritt to see if he could hang in there with him and decided he could. It was not the same Ali that came back after three years of inactivity but was so far better than the rest of the contenders he could afford continuing his boxing career. Only now he was getting hit by punches he avoided before his inactivity. In October of 1970 Ail took on contender Jerry Quarry, 37-4-4, in Atlanta, GA. While Ali hadn’t fought over those three years a tournament of eight boxers would vie for his vacant title. His former stable mate Jimmy Ellis, also trained by Dundee was the winner of the tournament. Two months after the Quarry bout in December Ali took on rough and tough Oscar Bonavena, 46-6-1, from Argentina, at Madison Square Garden, for the vacant NABF title. Ali knocked Bonavena down three times in the fifteenth and last round stopping him. In February of 1970 “Smokin” Joe Frazier who won the NY and MI titles as champion stopped Ellis in four rounds for the WBA and WBC titles. In November he defended and stopped light heavyweight champion Bob Foster, in two rounds. The stage was set for a Frazier-Ali meeting at Madison Square Garden in March of 1971. Ali was 31-0 and Frazier 26-0, and also a former Olympic Gold Medalist hailing from Philadelphia. Many fans and celebrities attended this major event. Going into the fifteenth and final round the scores were 8-6, 10-4 and 7-6 on the scorecards. This writer had it even at 7-7. In the last round Frazier put Ali on the canvas to seal the deal and winning the fight. Ali would come back four months later fighting Ellis what would be the first of ten straight wins working his way back in shape with a rematch with Frazier in mind. In 1972 Frazier had two easy defenses before traveling to Jamaica defending against another Olympic Gold Medalist during this period named “Big” George Foreman, 37-0, in January of 1973. Foreman claimed he was scared to death of Frazier and just kept throwing punches with one of them lifting Frazier right off the canvas. He was down three times in the first and three times in the second round, before some 36,000 in attendance. Several months later Ali lost for the second time in his career taking on hard punching Ken Norton in San Diego, losing a split decision and suffering a broken jaw. Ali had moved out of West Philadelphia and was living in Cherry Hill, NJ, at the time. This writer saw a crowd outside in center city Philadelphia across the street around 16th and Chestnut. Here it was Ali when I went over. An old timer who looked like the lawyer from Amos n’ Andy said to Ali “next time you fight Norton be a man, not a boy.” Ali answered “play with him like a toy?” We all laughed but this old timer who repeated “I said next time you fight Norton be a man not a boy!” Ali came back with “did you call me Roy?” Even the old timer was laughing. It would be six months before Ali got a rematch with Norton winning a 12 round split decision. The following month he went to Indonesia and defeated Rudi Lubbers, 21-1, over 12 rounds. In the meantime Frazier defeated Joe Bugner six months after losing his title. The stage was set for Frazier-Ali II in January of 1974 at Madison Square Garden again. Both former champions had their second of what would be three bouts and this one couldn’t compare to the other two as Ali Frazier 8-4, 7-4 and 6-5. A title fight was set for Ali to meet Foreman who had defended and knocked out PR’s Jose Roman and Norton. It would be October of 1974 when the bout finally got off called “the Rumble in the Jungle” in with Foreman now 40-0, and Ali 44-2. That’s when without even his trainer Dundee realizing Ali invented the “rope a dope” staying on the ropes with hands held high allowing Foreman to punch himself out while out boxing Foreman in the meantime. Ali was ahead on the scorecards after seven rounds by scores of 68-66, 70-67 and 69-66. By this time Foreman had all but punched himself out from either missing punches or having Ali on the ropes. Out of nowhere Ali hurt Foreman and knocked him out at 2:58 of the eighth round to re-win the heavyweight title. Foreman never complained about losing to Ali and never bragged about knocking out Frazier twice. Frazier wasn’t so complimentary toward either fighter. It was March of 1975 when Ali would defend against Wepner. Wepner told his wife prior to the fight “after this fight you will be sleeping with the champ”. Ali had easily boxed Wepner until in the 9th round either Wepner stepped on Ali’s foot or hit him in the body but Ali went down. Wepner went back to his corner with his hands raised when his trainer Al Braverman said “don’t turn around now but Ali is up and he looks pissed.” Ali gave Wepner a beating the rest of the way taking a 15 round decision. Two months later Ali took on hard hitting Ron Lyle, 30-2-1, in Las Vegas. After 10 rounds Ali was behind on the scorecards 49-43, 46-45 and 46-46. Ali in the eleventh round had Lyle against the ropes in what looked like his version of the “rope-a-dope” when referee Ferd Hernandez seemed to prematurely wave the fight off to the shock of Lyle. After defeating Bugner again Ali and Frazier would meet for the third time called “The Thrilla in Manila” in the Philippines. This along with Foreman and Lyle had to be one of the greatest heavyweight title fights in modern day history. Ali had been seen on television courting a beautiful Las Vegas showgirl named Veronica claiming it was his wife. When his wife Belinda saw this she flew to Manila and raised a fuss throwing furniture around at Ali. She was known for having a martial arts background. It was October of 1975 when Ali and Frazier met with the fight going back and forth but Ali dishing out damage to Frazier ahead on the scorecards after fourteen rounds by scores of 66-60, 66-62 and 67-62. Frazier’s trainer Eddie Futch would not allow Frazier to come out for the last round saying “I have to stop it Joe for your own good” though Frazier was very upset he knew Futch knew best. After scoring an easy knockout in February of 1976 over Jean-Pierre Koopman, 24-3, Ali would defend against Philadelphia’s Jimmy Young, 17-4-2, who was known to be a good boxer who this writer saw give Frazier fits in sparring. It was held in Landover, MD. Young made the mistake of backing into the ropes and leaning through them to the point he was warned by the referee. When it came to announce the decision this writer wasn’t sure Ali would get the win. Scores were 72-65, 70-68 and 71-64 in favor of Ali. After stopping the UK’s Richard Dunn in Germany Ali would face Norton for a third time in September of 1976 at Yankee Stadium in New York. Norton was 37-3, and Ali 52-2 at the time. The fight went down to the wire with the fans in attendance having mixed reactions when the decision was announced 8-6 and 8-7 twice in rounds in favor of Ali. Ali had a pair of fights in 1977 easily defeating inexperienced Spain’s Alfredo Evangelista, 14-1-1, over 15 rounds and one of the hardest hitting heavyweights in the history of boxing Earnie “The Black Destroyer” Shavers, 54-5-1, who Ali nicknamed “Acorn” at Madison Square Garden. Ali found himself on the canvas once but managed to outbox Shavers winning 9-5, and 9-6 twice on the scorecards held in Madison Square Garden. Seven months later Ali would take on former Olympic Gold Medalist Leon Spinks, 6-0-1, who showed no fear of Ali, and outworked Ali over 15 rounds by scores of 145-140, 144-141 and 143-142, in Las Vegas. Ali took Spinks too lightly and would have a rematch to regain his title seven months later at the New Orleans Super Dome before 63,350 in attendance. He would easily take the decision 10-4 twice and 11-4 to regain the title. In Holmes fourth title defense in a rematch with Shavers he came off the floor to stop Shavers in the 11th round. Ali must have needed the money or thought because he whipped Holmes many times as a sparring partner he could come back and defeat him. Ali never won one of the 10 rounds and took a beating when his corner would not let him out for the 11th round. Holmes was 35-0 at the time and the bout was held in Las Vegas. It would be the only time Ali didn’t go the distance in 60 fights. Ali would come back fourteen months later in what would be his final fight in Nassau, The Bahamas in December of 1981 against former champion Trevor Berbick, 19-2-1. Earlier in the year in April Berbick lost a decision in a title fight with Holmes. Ali came in at a career high 236 1/2 pounds and was defeated by scores of 97-94 and 99-94 twice ending his career at 56-5 with 37 stoppages and 19 successful title defenses being the only heavyweight champion to regain his title two times. 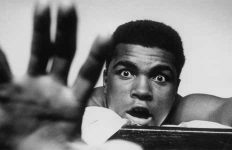 Ali without a doubt was in this writers estimation the most colorful athlete of his time and maybe of all time. Along with that one of the funniest people you would ever want to meet in person, which this writer had once in his Cherry Hill, NJ, house and several times in his Deer Lake Gym. He was one of a kind! The names Dempsey, Louis, Marciano and Ali’s names will live forever and each one were inducted into the IBHOF in 1990. Seems Ali’s bragging ways, not entering the US Military and accepting Islam have made him hated. This writer met him on half a dozen occasions as mentioned and he was one of the funniest, best looking bright boxers I have ever met!